How much does “Free” really cost? This article was prompted by an increase in calls from distressed patrons of the false advertisement trap which are getting all too frequent. The time has come when enough is really, enough. Agreed, the article is a little lengthy, but we wanted to give it some background context. Those of our readers - middle age upwards - will recall a time when the concept of electronic letter writing was first introduced to great fanfare; the idea of sending a letter - albeit less personal than a handwritten letter - that would arrive to the recipient within a matter of minutes, half way around the world rather than the customary three to six weeks using the postal delivery service. Of course, at the time, to avail of these services, a customer had to set up an account and pay a fee. Unless you had access to the Internet, it wasn’t for you, yet! Once the customer got to grips with the new technology and experienced the benefits, paying for this service seemed appropriate. We were already paying for stamps to use the Post Office service, right? The email service providers soon realised the income opportunities if the customer was the target rather than their service. Hail the arrival of free email services! Over the years since the it’s “FREE” culture started the request for more personal information has increased. The more information that is known about the customer, the more targeted the advertisement that will be directed at us. Now we are continually bombarded with “it’s FREE”! You would agree then that the “FREE” culture is just bait to attract our attention? But what did you ever get for “FREE” that you valued? Worse still, unless your expectation was low to start with, you inevitably end up disappointed by the experience. If you did happen to take the bait, ask yourself, how much information did you have to disclose about yourself in the process? real costs associated with providing a continued patient care pathway. As patients, we recognise the value of this service. Can I assume that we must place more value on our healthcare? So why should we treat hearing loss any differently? Hearing loss, for those that experience it can be a debilitating disability, leading to isolation if not monitored on an ongoing basis - a clear healthcare issue. Interestingly though, our behaviour to hearing loss is similar to how we deal with failing eyesight. Without the input of a qualified Optician, consumers see reading glasses advertised in a retail store and pop a pair in the shopping basket, oblivious to the fact that an ill-informed decision might be a solution for one eye, but may have a negative impact on the other eye, (e.g. eye strain). Likewise, with hearing loss, without the input of a qualified Audiologist, consumers decide that if sounds were louder they would hear ok. They see hearing aids advertised in a retail store and pop them in the basket – thinking they have a bargain. 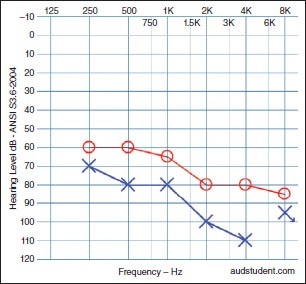 If you have speech discrimination at the higher frequencies (say female or child voice) then increasing the volume is not going to make them more audible. Screening does not include the comprehensive range of diagnostic tests you should have before you consider purchasing hearing aids, (e.g. bone conduction or masking, speech discrimination. Similar to the GP example above, there are real costs involved in providing Audiology services. Who do you think pays? Do you know of anyone that had a “FREE” hearing screening being told they don’t need hearing aids? 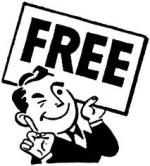 In addition, do you know anyone that got the “FREE” trial hearing aids’ advertised? Notably, they are unsuitable the patrons of false advertisement so under pressure they end up paying a lot for the “bait”. Pure deception, right? So why treat your hearing differently to other healthcare matters? Say on a given day, hypothetically speaking, five people take the “FREE” screening offer but leave without buying hearing aids. The sales person has spent half a day without generating any income to even pay for their own wages, never mind paying for the consultation room, lighting, heating, insurance, administration services, etc., real costs. Now you are the sixth person to take the “FREE” screening offer that day which ends up in the pressure purchase of hearing aids. Smiles of satisfaction all-round, right? No, unfortunately. You probably have funded the “FREE” screening test for the other five people in the price you ended up paying. earpeace™ is a privately owned Irish Company, with its head office located in Galway, Ireland. The company is committed to providing exemplary audiology services and associated world leading technology products to its customers throughout Ireland. For further information about the company, please follow this link. Someone you know has a moderate hearing loss. Take a look at this animated infograph which will help you to understand how their quality of life has changed. Appreciating the everyday challenges facing people with a moderate hearing loss will help to improving their quality of life. Ever wonder what it is like for someone who experiences a moderate hearing loss? Imagine reading a book if every sentence looked like these? A recently published article in the Journal of the Acoustical Society of America alters what has been the classic view of sensorineural hearing loss (SNHL). Hair cells have long been considered the most valuable elements of the inner ear, for the focus of research efforts, in establishing the threshold elevations noise-induced and age related hearing loss has on their demise. 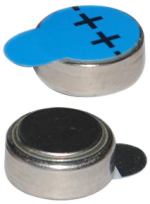 What is the lifespan of a Hearing Aid Battery?